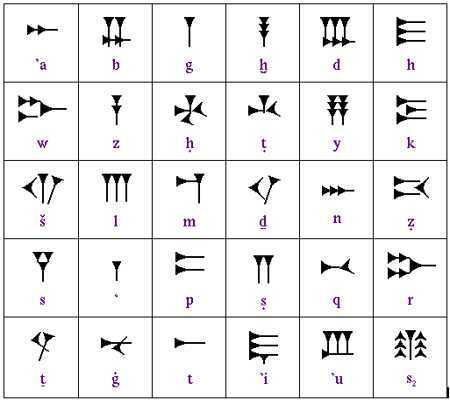 Cuneiform writing was probably invented by the Sumerians, but was subsequently adapted for writing in the Akkadian language, of which Babylonian and Assyrian are dialects. Writing was invented in the ancient Near East in order to record business activities, but tablets containing medical texts and other subjects have also been found. Cuneiform, system of writing used in the ancient Middle East. The name, a coinage from Latin and Middle French roots meaning “wedge-shaped,” has been the modern designation from the early 18th century onward. Cuneiform was the most widespread and historically significant writing system in the ancient Middle East. As the Sumerian city-states’ wealth increased, government officials realized that an efficient method of keeping records had to be developed. Evolved from simple pictographic writing, Sumerian cuneiform emerged as the world’s first writing system. The term cuneiform means “wedge-shaped.” It was made up of hundreds of word signs that were “wedge-shaped” due to the shape of the reed pen, or stylus, that was used. 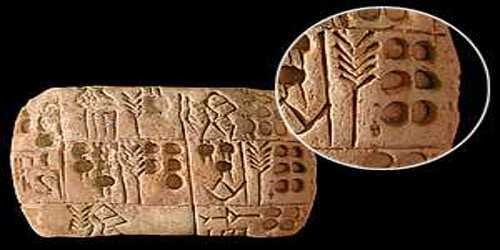 The Sumerians wrote on clay tablets that would either be dried in the sun or fired in kilns to make the writing permanent. In the course of the 3rd millennium the writing became successively more cursive, and the pictographs developed into conventionalized linear drawings. Due to the prevalent use of clay tablets as writing material (stone, metal, or wood also were employed occasionally), the linear strokes acquired a wedge-shaped appearance by being pressed into the soft clay with the slanted edge of a stylus. Curving lines disappeared from writing, and the normal order of signs was fixed as running from left to right, without any word-divider. This change from earlier columns running downward entailed turning the signs on one side. Cuneiform, from the Latin cuneus, meaning “wedge,” is the term applied to a mode of writing which used a wedge-shaped stylus to make impressions on a clay surface, and also on stone, metal, and wax. Most of the clay tablets were sun-baked, making surviving tablets very fragile. 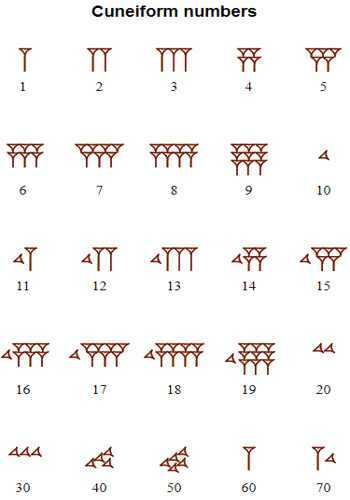 This technique originated in ancient southern Mesopotamia and the earliest texts in cuneiform script are about 5000 years old.